Is your baby giving you a tough time & you are suffering from sleepless nights due to your infants regular episodes of crying ? When your infant cries continuously ,there could be various reasons for it including cold, heat, hunger, tiredness, or because of the diaper rashes or if the diaper needs to be changed or due to indigestion. If your baby looks fine and continues crying even after being well fed and properly cleaned ,then your infant might be suffering from a colic pain. 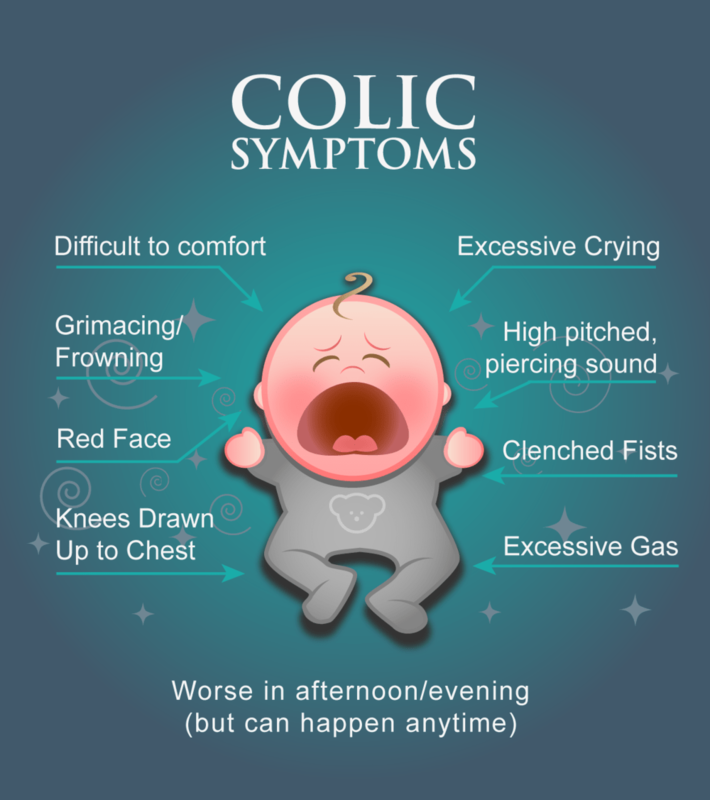 What is baby colic ? Baby colic is a condition that appears in babies soon after birth and continues until your baby is about three to four months old. But do not worry because colic is a normal condition which most of the newborns suffer from. 1) Baby cries continuously and with high pitched piercing sound ,the face become red and flushed as if in anger and they do not feel comfortable even if you feed properly and any effort to comfort them is in vain. This gets worse mostly during the noon or evening which may take few minutes to hours to calm the baby. 2) You may notice clenched fists , tightness in abdominal muscles and the baby lift its back while crying and the back takes shape of curved arch. 3) Your baby’s sleeping time will reduce and include regular episodes of crying. 5) All babies are unique and feel pain differently . With some infants, symptoms are mild, while others cannot tolerate the pain and cry a lot . If you notice any change in your baby’s normal behavior, eating or sleeping habits or if your baby is crying a lot , do not hesitate to consult your doctor for advice. Experts suggest that wind or indigestion may be involved in colic, but most of the times causes are unknown. Twice as many infants have colic if their mother’s have been smoking during pregnancy. 1)Wrap your baby in a blanket during the crying hours,it may help to some extent. 2)Mother’s diet also affect baby’s condition to some extent so mothers who are breastfeeding their babies may notice that if they eat healthy food and avoid tea/ coffee/spicy foods and alcohol, the baby’s colic symptoms lessens. 3)Also make sure you have burped your baby well after every feed. Hold your baby like in a sitting position and then hold them against your shoulder with the neck and head supported. Rub their back and stomach often. 4)Comfort the baby in a quiet dark room or simply dimming the lights often works better. 5)Giving warm bath or gentle massage also works. But tell me what would you do If such a colic pain occurs to your baby in the midnight or while travelling long distances, when you are unable to reach even doctor for help ? So whether I am travelling or not I always keep MotherSparsh Tummy Roll on at the tip of my fingerstips. I wonder what it would be like if I didn’t get to know about such an amazing product. This tummy roll on from MotherSparsh is really a blessing to all Moms of Little Angels. 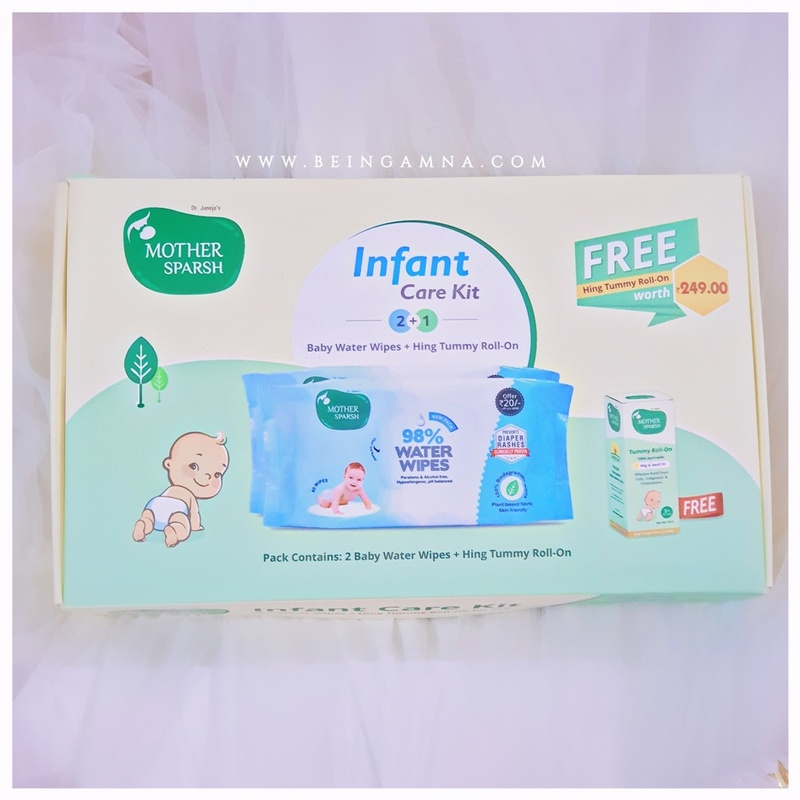 Why Mother Sparsh Tummy Roll On is best for my baby? It Relieves Stomach Discomfort: Mother Sparsh Tummy Roll On is an Ayurvedic solution for babies suffering from colic, indigestion and constipation. Relieves Gas Pain: As per our Ancient Ayurveda Hing (Asafoetida) helps to treat abdominal colic, gas, flatulence & indigestion. It also cure abdominal pain, constipation & upset stomach. 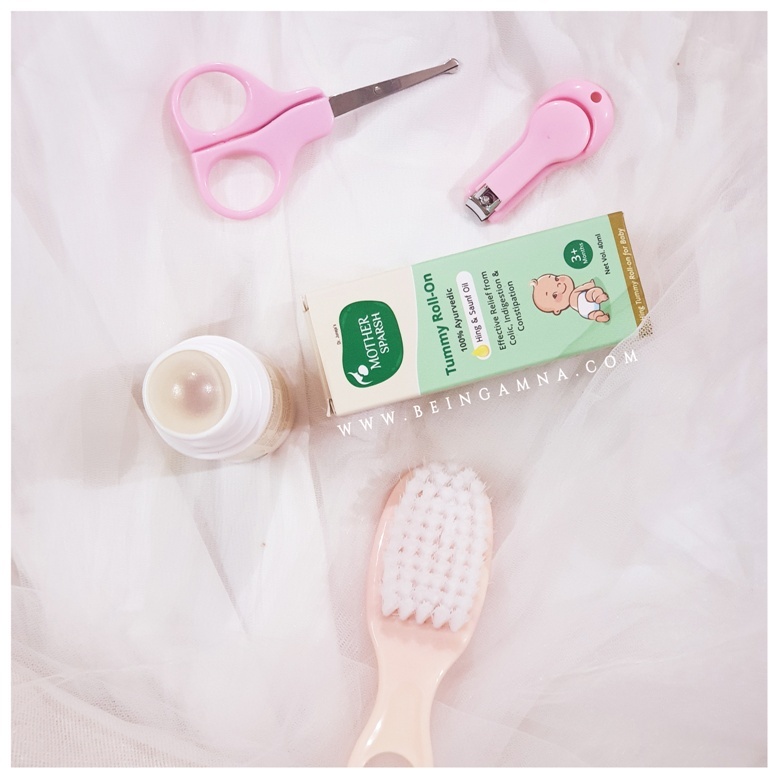 100% Ayurvedic: All the ingredients present in Mother Sparsh Tummy Roll-On are natural and free from toxins which make them totally safe to use on babies sensitive skin. Easy to carry: Mother Sparsh Tummy Roll On is travel-friendly as it is convenient to carry while travelling in bags, purses, pockets, etc. You can easily roll it on the navel area and let your baby rest. In ₹ 249/- ,40 ml bottle is worth the price ! Nothing is worse than a crying child. Thankfully, my child wasn’t colic. But the product would surely be boon to many parents. This is really a life- saver, and the cherry on top is it’s all natural and hassle-free! This is such an innovative product. Kudos to Mother Sparsh. I find tummy roll ons very effective too. In fact, i use them even now and carry them while traveling too. Will definitely try Mother Sparsh one too. Have heard a lot about it! This tummy roll on is a boon for both the child and the parents. Good such product is launched. Baby colic can be a lot of discomfort for the child.This will help many little one get relief indeed. This is a wonderful guide for new moms. Having an all natural roll on in your arsenal is great when baby gets pain at odd times. Gentle tummy massage with castor oil around naval is good. These roll ons are definitely must-haves for new borns.